A shipbuilding career is dynamic, demanding and very rewarding. It can be taken up by a number of professionals including: architects, engineers, draftsmen, welders, riggers, electricians, plumbers, machinists, carpenters, and of course supervisors. The salaries are competitive and the workplace is challenging. At the end of a project, you have the satisfaction of seeing a vessel you helped to design and construct launch into the water. 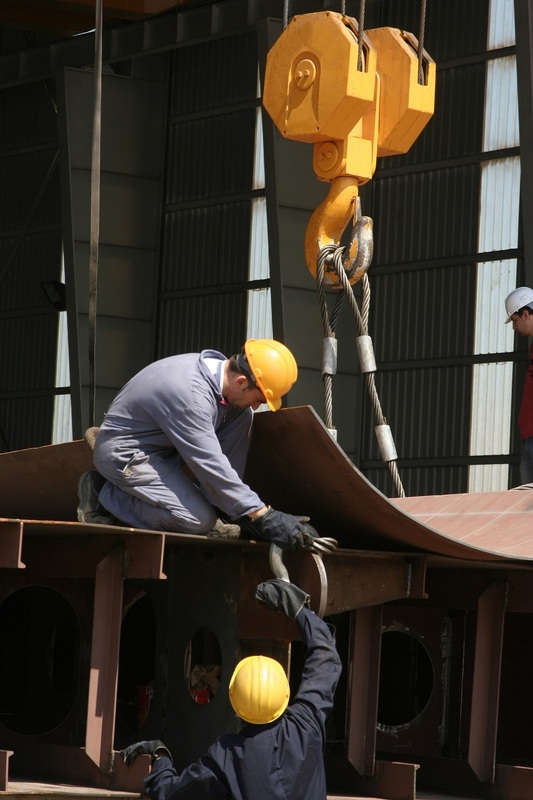 Here is a brief overview of some of the roles specialty professionals play in the construction of a vessel. Architect: Designs and oversees construction of all the exterior and interior spaces of the sailing vessel. Vessels include tankers, cargo ships, cruise ships and ferries, as well as smaller vessels such as yachts, fishing boats and tug boats. If you select a military career, you might even be designing submarines and war ships. Have you ever dreamed of building your own ship? Welder, Solderer and Cutter: Three of the most important jobs in the construction on an actual ship, as they are responsible for cutting and fitting together parts of the ship to make a whole vessel. You will be using highly sophisticated tools that remove much of the guesswork, and required to complete training plus an apprenticeship program before you can begin. Electrician: Takes care of all the intricate and vitally important electrical requirements to ensure the ship’s safety. You will be designing and installing not only lighting, but also emergency and safety instruments. Carpenter: Forms part of the shipbuilding team. Although today, except for specialty vessels, ships are not made out of wood, this material is still used to construct some key components of a ship. Plumber/Fitter: Any problems with water pipes on a ship can be disastrous. All fittings must be perfect and requires a highly skilled plumber responsible for design and installation. Most of the shipbuilding professions require only a high school diploma to get started, plus specialized training and an apprenticeship. To be a Naval Architect you must have electrical and mechanical engineering skills, be proficient in using computers and software, and possess an undergraduate degree in physics, mathematics, or other science disciplines. Beyond this, you must be creative, possess outstanding project and team management skills, and be able to communicate with a diverse audience as you will be supervising the work of Engineers, Electricians, Plumbers, and others. The shipyard is a busy, noisy place, and the hours are long. But if you are the hands-on creative type and always dreamed of building your own ship, then this is definitely the career for you. The hours are definitely long and hard but I have found shipbuilding to be one one of the best for job satisfaction. Every day you go home happy.